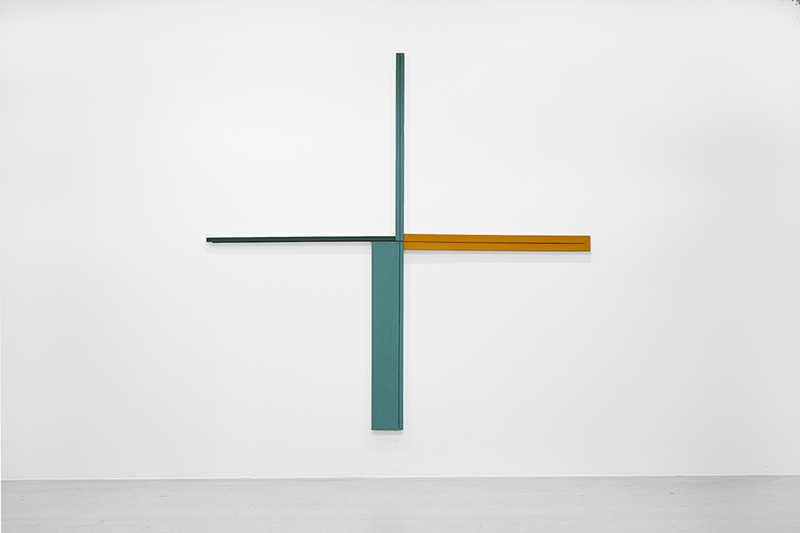 With an abstract painting trend derisively nicknamed ”zombie-formalism” flooding the market, more attention should be paid to the achievement of Robert Mangold, <…>. 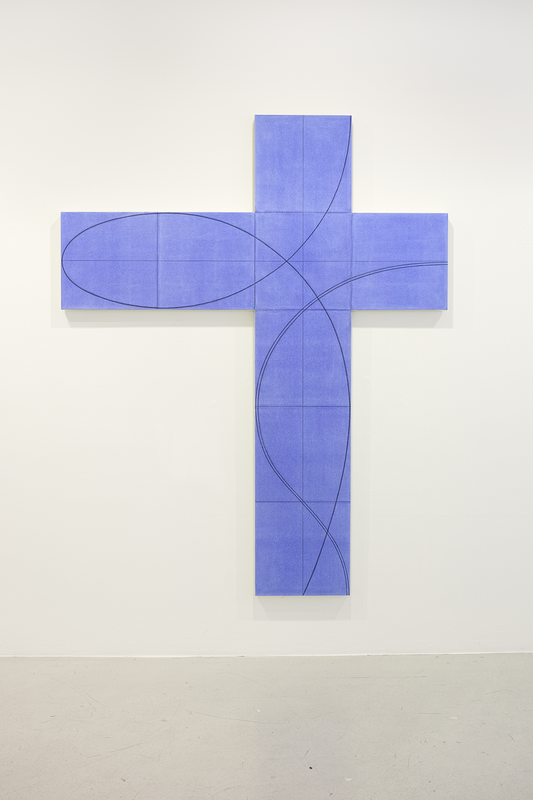 For over five decades, Mr. Mangold has been mining an extremely spare combination of shape, color and line (always drawn in dark pencil) with consistently outstanding results that reveal the thoughtfulness of beauty in both classical and contemporary terms.” Roberta Smith, New York Times, 2014. CHRISTIAN LARSEN is proud to present the first survey in Sweden of paintings and works on paper by Robert Mangold in co-operation with PACE Gallery, NY. Robert Mangold is one of the most pre-eminent American artists of his generation. Since the 1960s he has developed an artistic vocabulary derived from the idea of geometry and asymmetry in shape and form. Mangold's use of subtle color and curvilinear abstract forms are associated with Minimalism but also recall other sources from Ancient Greek pottery to Renaissance frescoes. Mangold almost always works in extensive series, often carried out through both paintings and works on paper. 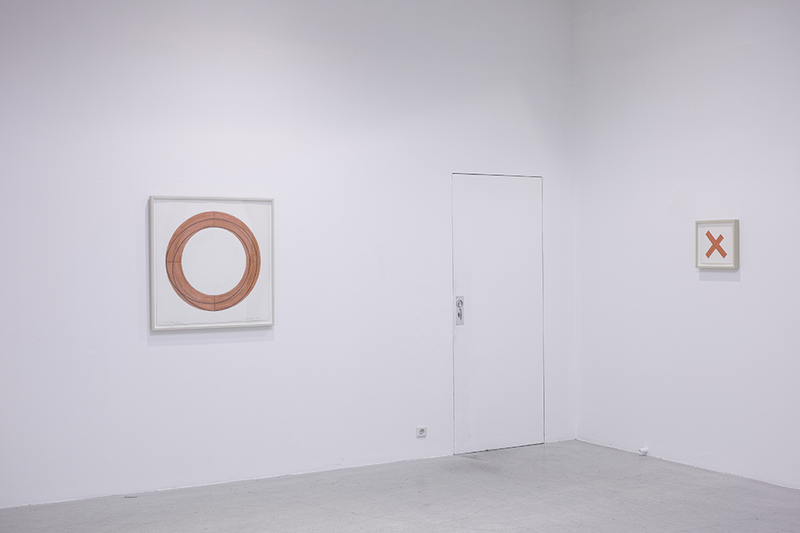 CHRISTIAN LARSEN presents works dating from 1981 up until today. Throughout his career, Mangold has been translating the most basic of formal elements—shape, line, and color—into paintings, prints and drawings of architectural scale. He renders the surface of each canvas with subtle color modulations and sinewy, hand drawn graphite lines that push the boundaries of their structure, heightening the tension by overlapping, diverging and mirroring each other’s ascent. Mangold’s highly characteristic color palette consists of soft grays, bright and crisp yellows, lime, pale terra cotta and tan. 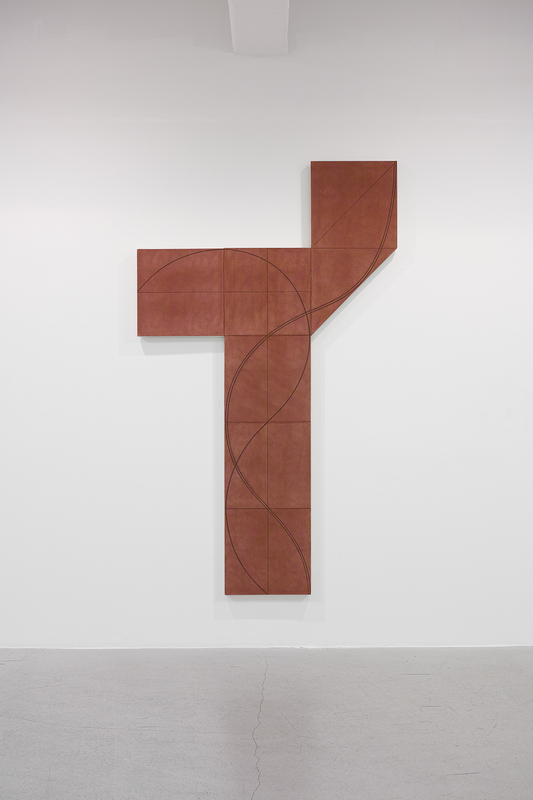 Following his first solo exhibition in 1964, Mangold’s work has been the subject of numerous single-person exhibitions and retrospectives at institutions including the Guggenheim Museum, New York; the Stedelijk Museum in Amsterdam; the Akron Art Museum; the Hallen für neue Kunst, Schaffhausen, Switzerland; the Allen Memorial Art Museum, Oberlin College; the Hallen für neue Kunst; the Museum Wiesbaden; the Parasol Unit Foundation for Contemporary Art, London; and the Albright-Knox Art Gallery, Buffalo. 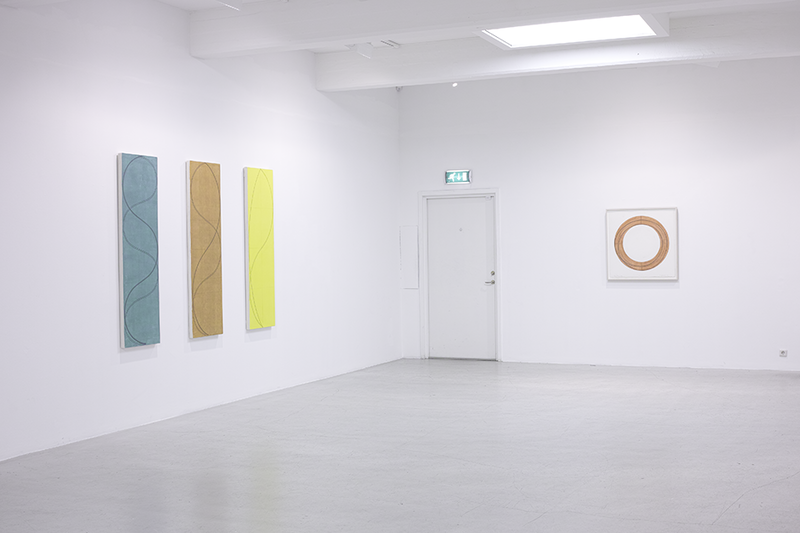 Robert Mangolds first show in Sweden was in 1995 at Gallery Carling Dalenson. Mangold’s work can be found in more than 75 public collections worldwide, including The Museum of Modern Art, NY; Whitney Museum of The American Art, NY; Tate Gallery, London; Tokyo Metropolitan Art Museum; Museum Ludwig, Vienna; Kunstmuseum Basel; Kunsthalle, Hamburg; Fundacio ”la Caixa”, Barcelona; Museum of Contemporary Art, Los Angeles; Solomon R. Guggenheim Museum, NY; Kunstmuseum Winterthur, Switzerland and Stedelijk Museum, Amsterdam. Robert Mangold lives and works in upstate New York.